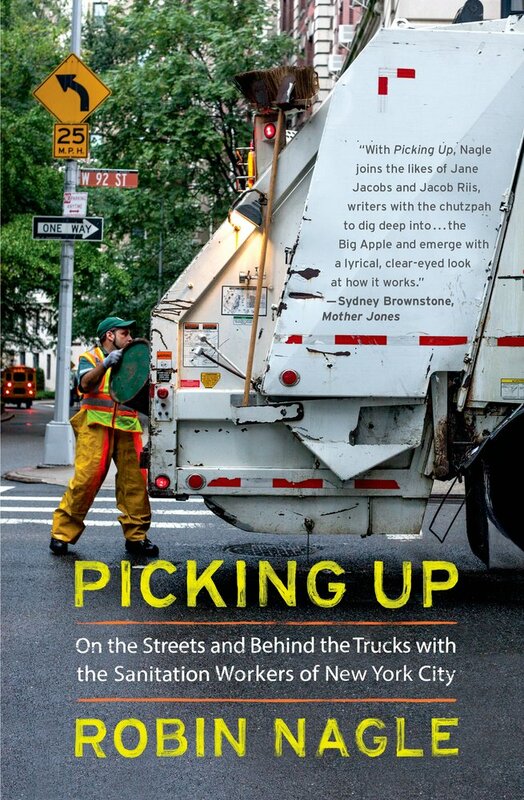 Back in January of 2008, I came across an NYC event listing that seemed to have been drafted just for me: a presentation given by a group of NYU anthropology students who had spent a semester planning a museum to honor the New York City Department of Sanitation (DSNY). Professor Robin Nagle, DSNY’s anthropologist in residence co-taught the course. That’s how I discovered that such a position existed and that’s the first time I got to hear Nagle lecture on the history of trash in New York City. Her passion for the subject came across so clearly that I knew right away this idea of a museum honoring the sanitation department constituted more than a hypothetical class assignment. We discussed it a bit more one Trashtastic Tuesday; and a couple years after that I got her to join me on a panel about art and garbage that took place inside an RV parked on Manhattan’s Lower East Side. Since then, I have kept up with Nagle mainly through social media (she has a badass Instagram feed) and by following the academic waste blog she founded, Discard Studies. Then, a few weeks ago, my friend Oriana Leckert of Brooklyn Spaces asked if I wanted to join her at an event that merged her passion for unique creative venues with my passion for trash at the fabulous headquarters of Atlas Obscura. Nagle gave a fabulous lecture on the history of New York City’s struggle to deal with our trash. Highlights included amazing footage shot by Thomas Edison of sanitation workers loading a trash barge in 1903. Did you know Edison took little slice of life vignettes of the city and that you can view them all on YouTube thanks to the Library of Congress? You’re welcome. The book is full of great anecdotes, personal stories and incredible facts. It’s a must read for all trashes and is now available in paperback. Go forth and purchase. The entire East Coast of the United States seems to have shut down—public transport, schools, Broadway theaters, banks, the stock exchange—but trash collection is on for Monday in New York City. Pretty darn impressive. Feels like today is a good day to revisit Chasing Sanitation, an artistic tribute to New York’s Strongest in the form of portraits and collected stories. And, while we’re at it, it’s a good day to revisit the work of Mierle Landerman Ukeles, the Department of Sanitation’s artist in residence. Among other landmark trash-related installations, Ukeles is known for a performance piece she put on in 1984 called Touch Sanitation. Over 11 months, she shook the hand of every sanitation worker in the city and said “Thank you for keeping New York City alive.” Here’s a classic Talk of the Town on her work, via Feldman Gallery. I got all excited when I downloaded the latest Moth podcast this morning and read the description: “A young man struggles with his role in the family sanitation business.” Luckily, this week’s installment lived fully up to those inflated expectations. It’s a sweet New York story and well worth a listen. Thank you, Terence Mickey, for brightening my morning commute. The outro references a novel in the works called The Gleaners. Trashtastic title, can’t wait! In case you missed this NYT piece on recycling in housing projects, here’s a link to the text and a peek at the companion video. These women—going door to door trying to get their neighbors to buy into the idea of a recycling program for their project—are amazing. Now I know a blog is no place for fundraising, but I wanted to share a free way to give money to an amazing organization whose mission is fully in line with that of everydaytrash.com. 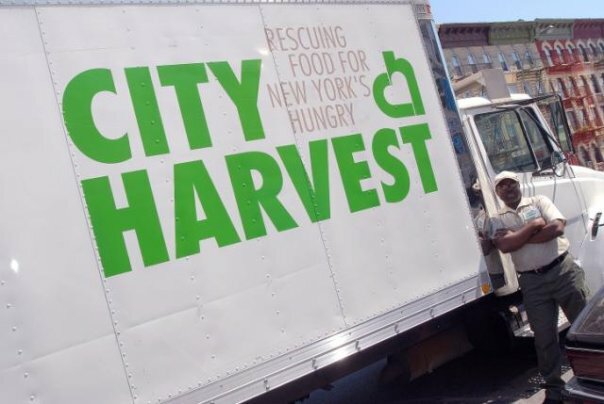 City Harvest, New York City’s premiere food rescue organization, gets $5 for every new Facebook fan to join their page by Tuesday. Every pound of food City Harvest distributes is a pound of would-be-trash averted. Click here to help rescue food from restaurants and make sure it gets to hungry families. …will exist in Long Island City, Queens, New York until August 3rd. More to come. Thanks for the tip, Dacia! 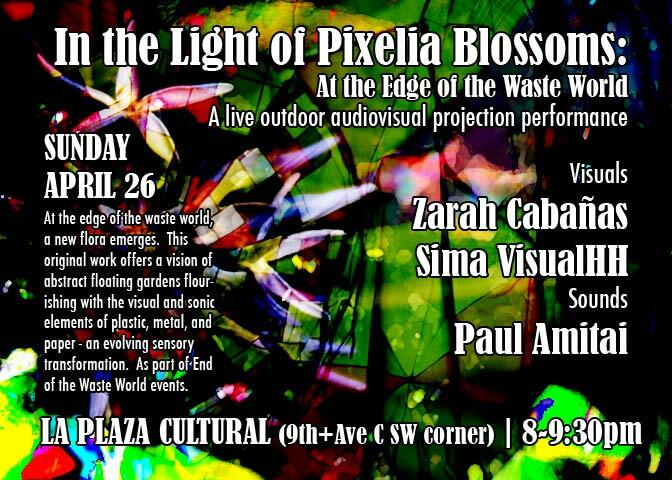 On Sunday, April 26th and starting at 3pm: A “To Waste or Not to Waste” forum followed by a live audiovisual performance. Yankubis are instructed to bring big ideas and slow food to La Plaza Cultural Garden (one of the most wonderful venues/spots in New York; attending events at La Plaza is a real treat you should take advantage of if you’ve never done so before). 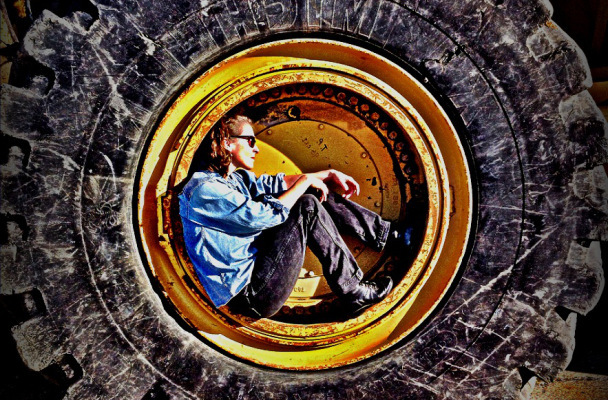 On May 1st (aka Decorative Dumpster Day),there will be a Mayday Trash Worship Gathering—to include “waste instrumentation”—honoring “Anuki, god of all tides, from 3pm until nightfall at Grand Street Ferry Park in Williamsburg. Check in with Viatico Art Magazine for future updates.